This project is for Transtech Projects. 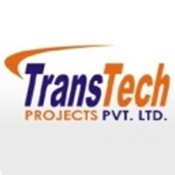 Transtech projects offers a wide range of services such as Detail Engineering, Design & Drafting, Automation & Control. This application gives users a concise overview of company and also specific details of companies skills and capabilities. The notes application allows the users of application to write notes during a meeting or discussion. The notes once synched, are stored centrally so that authorized users in company and directors can view it.